There are some people who "eat to live" and others (like me!) who "live to EAT!" 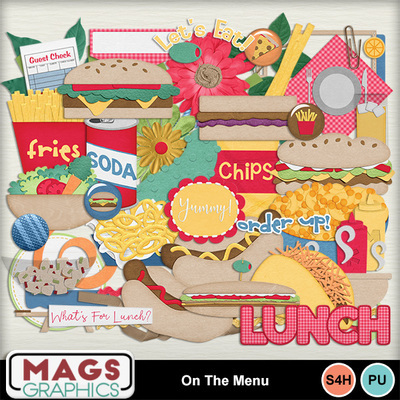 Scrap all of your foodie photos with this ON THE MENU Collection - a HUGE set with individual element packs for Breakfast, Lunch, Dinner, & Dessert! This is the LUNCH Pack.